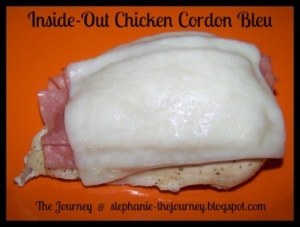 This Inside-Out Chicken Cordon Bleu is simple, frugal, gluten free, and much lighter than the traditional version. 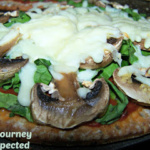 This recipe just came to me on the way home from “Buddy’s” song writing/voice lesson today. I all of a sudden wanted to make some chicken tonight, but did not want plain old chicken breasts nor did I want to stop by the store. I have never made Chicken Cordon Bleu before nor have I personally researched how to make it gluten free, but I could not get it out of my head. 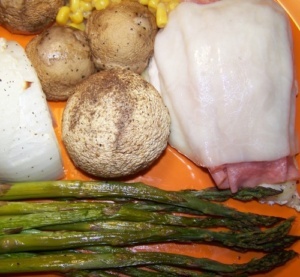 I served this Inside Out Chicken Cordon Bleu tonight with Oven Roasted Veggies: asparagus, mushrooms, and onions. 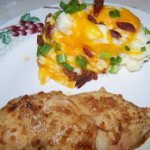 This dish uses the boneless, skinless chicken breasts straight from the freezer. No need to thaw! There are only three ingredients plus whatever simple seasoning you choose and it goes from the freezer to the table in less than an hour. 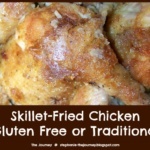 For gluten free cooking: Check your chicken breast. If it is from the bulk bags like I used, there are many brands and/or varieties that are NOT gluten free. 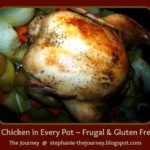 Many have gluten in their chicken broth and/or glaze that they use. 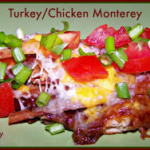 I used Tyson Individually Frozen Boneless, Skinless Whole Chicken Breasts, Uncooked. Buddig ham and this particular type of Tyson chicken breasts are gluten free at the time of this posting. Prairie Dust is my chosen seasoning for this meal. Freezer to Table in Under an Hour! Preheat oven at 375 degrees. Line baking dish with foil (makes for easy cleanup). Lay the frozen chicken breasts flat on the foil in baking dish. Sprinkle the seasonings over the top of the chicken. Cook for 45 minutes. Divide the thin ham slices evenly between the chicken breasts. I separated them and folded them over to add height/volume. 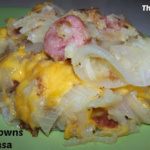 Top each ham topped breast with a slice of cheese. Return to the oven for about another 5 minutes or until the cheese is melted. ← Corn Cheese Macaroni Casserole ~ Gluten Free or Not!